I think I'm just going to sleepwalk through this weekend. 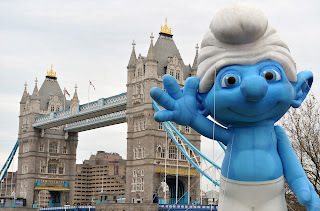 World's largest smurf, which they rolled out in the UK for the DVD premiere of the first film. If they do an even bigger smurf to top the last, that'll justify the movies existence and then some. What can I say, I'm a sucker for a giant inflatable smurf. Sorry 2 Guns, no giant inflatable smurf for you. Maybe if you become a beloved cartoon for children first. Denzel Washington and Mark Wahlberg could be always on the run from a powerful dark wizard. I'd watch that. I'd eat the sponsored cereal too. Last Week: Alex once again jumped in first, guessing Silver Bullet, the Stephen King werewolf film that stars Megan Follows, Corey Haim, and Gary Busey. I'm going to have to start playing hardball to see if I can stump Alex. What are your plans this weekend? Going to set out some smurf motels to get rid of an infestation? Going to sit around counting your, not one, but two guns? Will Batman escape from the Riddler's diabolical trap? Is that Van Helsing? Hope so as I'm on a roll. Nothing is exciting me this weekend as 2 Guns has received 'eh' reviews. Will probably see The Conjuring instead. Isn't hte name "Giant Smurf" kind of an oxymoron? Wouldn't a giant Smurf be normal size? I like Denzel, but will probably wait on this one. 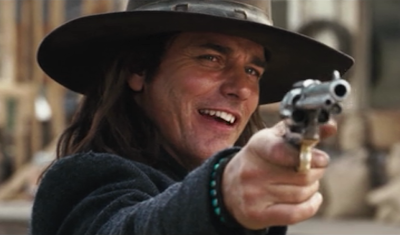 Paul Gross in Gunless for the win! I concur, nothing interests me this weekend. 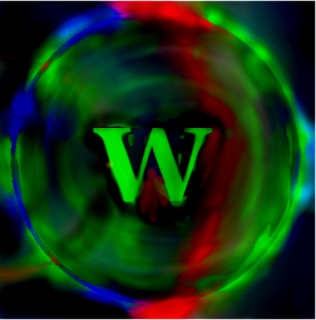 My kids want to see Smurfs, I might go to pay my respects to Jonathan Winters. I think the only movie on my current 'might see' list is the Joss Whedon much ado about nothing. I've heard good things about it but I've yet to drag myself to the indie theater. And I am now convinced there's a Brimley/Smurfs secret plot. The weekend is over and I think I pretty much ate the whole time. None of flicks appeal to me much. I will see 2 Guns at some later date though.